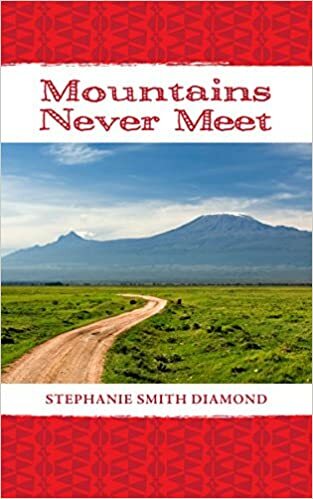 Mountains Never Meet is a delightful read. Maggie is a 30-year-old editor with a nice fiance, Thomas, and a good life in Boston. Handing with her rowdy brothers compensates for the blandness of life with Thomas. Though she's supposed to be planning the wedding and moving in with him, Maggie becomes distracted by the idea of a trip to climb Mt. Kilimanjaro. Thomas reluctantly agrees, but at the last moment on their layover in Paris, he backs out and leaves Maggie on her own. She breaks the engagement and continues to Africa. The week-long trek up the mountain is described in detail and makes you feel as if you are on the hike. I believe the author also took this hike and she's translated the experience expertly in the book. Maggie continues to gain confidence being on her own. Though Adam, the last minute replacement for Thomas, is attractive and willing to help her, Maggie is suspicious of his motives. Her journey to learn to take help and not just accept 'good-enough' is what makes this story so interesting. She has decisions to make after the trek. Should she go on the safari that she and Thomas had also planned? Should she go back to Boston, Paris, or stay in Africa? I can not wait to read more from this author.